Be aware that selecting a good topic may not be easy. It must be narrow and focused enough to be interesting, yet broad enough to find adequate information. Before selecting your topic, make sure you know what your final project should look like. 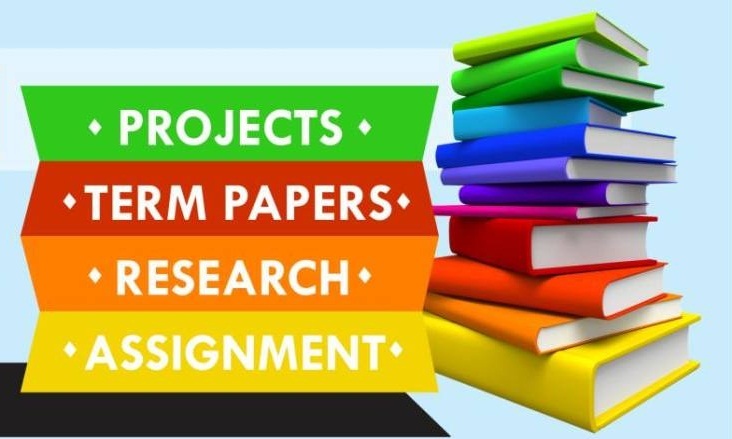 Each class or instructor will likely require a different format or style of research project. Use the steps below to guide you through the process of selecting a research topic. Choose a topic that interests you. Use the following questions to help generate topic ideas. Did you read or see a news story recently that has piqued your interest or made you angry or anxious? Do you have a personal issue, problem or interest that you would like to know more about? Do you have a research paper due for a class this semester? Is there an aspect of a class that you are interested in learning more about? Look at some of the following topically oriented Web sites and research sites for ideas. Are you interested in current events, government, politics or the social sciences? Are you interested in health or medicine? Are you interested in the Humanities; art, literature, music? Write down any key words or concepts that may be of interest to you. Could these terms help be used to form a more focused research topic? Be aware of overused ideas when deciding a topic. You may wish to avoid topics such as, abortion, gun control, teen pregnancy, or suicide unless you feel you have a unique approach to the topic. Ask the instructor for ideas if you feel you are stuck or need additional guidance. Read a general encyclopedia article on the top two or three topics you are considering. Reading a broad summary enables you to get an overview of the topic and see how your idea relates to broader, narrower, and related issues. It also provides a great source for finding words commonly used to describe the topic. These keywords may be very useful to your later research. If you cant find an article on your topic, try using broader terms and ask for help from a librarian. For example, the Encyclopedia Britannica Online (or the printed version of this encyclopedia, in Thompson Library's Reference Collection on Reference Table 1) may not have an article on Social and Political Implications of Jackie Robinsons Breaking of the Color Barrier in Major League Baseball but there will be articles on baseball history and on Jackie Robinson. Browse the Encyclopedia Americana for information on your topic ideas. Notice that both online encyclopedias provide links to magazine articles and Web sites. These are listed in the left or the right margins. Use periodical indexes to scan current magazine, journal or newspaper articles on your topic. Ask a librarian if they can help you to browse articles on your topics of interest. Use Web search engines. Google and Bing are currently considered to be two of the best search engines to find web sites on the topic. Example: How does the environment fit into the Navajo world view? Example: What are the most prominent environmental issues of the last 10 years? Example: How does environmental awareness effect business practices today? Example: What are the effects of air pollution on senior citizens? locally confined - Topics this specific may only be covered in these (local) newspapers, if at all. Example: What sources of pollution affect the Genesee County water supply? recent - If a topic is quite recent, books or journal articles may not be available, but newspaper or magazine articles may. Also, Web sites related to the topic may or may not be available. broadly interdisciplinary - You could be overwhelmed with superficial information. Example: How can the environment contribute to the culture, politics and society of the Western states? popular - You will only find very popular articles about some topics such as sports figures and high-profile celebrities and musicians. Keep track of the words that are used to describe your topic. It is common to modify your topic during the research process. You can never be sure of what you may find. You may find too much and need to narrow your focus, or too little and need to broaden your focus. This is a normal part of the research process. When researching, you may not wish to change your topic, but you may decide that some other aspect of the topic is more interesting or manageable. You will often begin with a word, develop a more focused interest in an aspect of something relating to that word, then begin to have questions about the topic. Research Question = How has Frank Lloyd Wright influenced modern architecture? Focused Research Question = What design principles used by Frank Lloyd Wright are common in contemporary homes? Use the key words you have gathered to research in the catalog, article databases, and Internet search engines. Find more information to help you answer your research question. You will need to do some research and reading before you select your final topic. Can you find enough information to answer your research question? Remember, selecting a topic is an important and complex part of the research process. Write your topic as a thesis statement. This may be the answer to your research question and/or a way to clearly state the purpose of your research. Your thesis statement will usually be one or two sentences that states precisely what is to be answered, proven, or what you will inform your audience about your topic. The development of a thesis assumes there is sufficient evidence to support the thesis statement. For example, a thesis statement could be: Frank Lloyd Wright's design principles, including his use of ornamental detail and his sense of space and texture opened a new era of American architecture. His work has influenced contemporary residential design. The title of your paper may not be exactly the same as your research question or your thesis statement, but the title should clearly convey the focus, purpose and meaning of your research. Remember to follow any specific instructions from your instructor. Identify three narrower aspects of the following broad topics. In other words, what are three areas you could investigate that fit into these very broad topics? Identify a broader topic that would cover the following narrow topics. In other words, how could you expand these topics to find more information? Imagine that you have been assigned the following topics. Think of 5 keywords you might use to look for information on each. How does air quality affect our health? What are the barriers to peace in the Middle East? Should snowmobiling be allowed in wilderness areas? How can welfare reform help poor children?